Earrings for sensitive ears in simulated white pearls. Look gorgeous with class and style in these Studex Gold Plated 7MM Simulated White Pearl Earrings (Sensitive). This type is the “Fashion” style and is not “for piercing”. 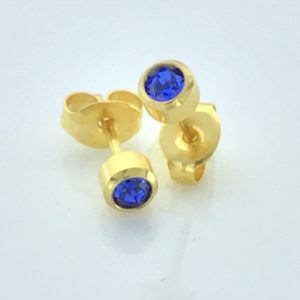 Each of the earrings have a rounded, notched post for all day long comfort. The base metal is constructed of stainless steel for your hypoallergenic protection against irritation and then plated in pure gold. Their size is approximately 9/32 inch in diameter. These simulated white pearls are ideal in shape and color, a perfect choice whether for work or out for an event. 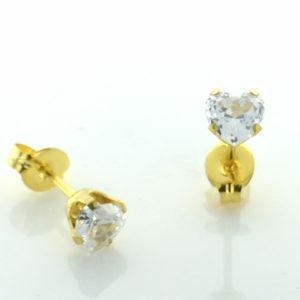 Each pair comes with a set of earring backs made with the same surgical stainless steel material plated in 24k gold. The grooved post provides a secure fit so you can wear them in any situation without the risk of losing them. Very durable and safe to wear in the shower or to bed.